The studio is owned and operated by Michael Watkin and aims to provide students in the Macarthur area the opportunity to study with a musician/music teacher with experience in a wide range of musical fields. Many of Michael's students have gone on to study at major music institutions such as the Sydney Conservatorium of Music and the Newcastle Conservatorium, later moving on to careers in performance and music teaching. The studio caters for students of all ages, from beginners to advanced level students, to study saxophone, clarinet, piano or music theory (musicianship) for HSC preparation, AMEB exams, performance diplomas, auditions, eisteddfods and for young children and adult students who want to learn an instrument. The studio is equipped with a Kawai KG-2 6 ft grand piano so that students receive all of the benefits of learning on, or being accompanied by, a high quality instrument. Michael graduated from the Sydney Conservatorium of Music in 1994 with a Bachelor of Music Education degree (B.Mus.Ed. Merit) where he studied piano with Albert Landa. He then went on to complete a Master of Music (M.Mus.) degree majoring in music technology in 1996. During this time he lectured at the Sydney Conservatorium of Music in both instrumental pedagogy (conducting and arranging) and music technology. In 1995 Michael studied with Mark Walton and completed an Associate Performance Diploma (A.Mus.A.) majoring in saxophone. In 2000 he completed the Graduate Diploma of Music (Grad.Dip.Mus.Perf.) majoring in saxophone performance at the Sydney Conservatorium of Music studying with Mark Walton. Michael has operated a private instrumental music studio in the Macarthur area for the past 20 years teaching saxophone, clarinet and piano and is an accredited instrumental tutor for the University of NSW. He has conducted and tutored at many workshops and schools and is currently working as a freelance performer and teacher. 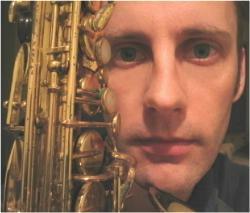 He has worked extensively in amateur and professional theatre, saxophone quartets, orchestras, jazz and rock ensembles. He has recorded for radio broadcasts for ABC FM and 2MBS FM and has toured both Australia, Europe and New Zealand with various ensembles including the Weeamara Saxophone Quartet, he also has two independent CD's.